Industrial rotating machinery relies on rolling bearings to reduce friction, power consumption and heat generation, while supporting heavier applied loads at higher speeds with more accuracy. Regardless of application, basics remain constant to achieve optimized performance and service. When the wrong tools or improper mounting techniques are used, bearings can easily be damaged or installed incorrectly. The environment should be clean and free of any contaminants or corrosive fluids. This includes the working surface, hands/gloves and tools. 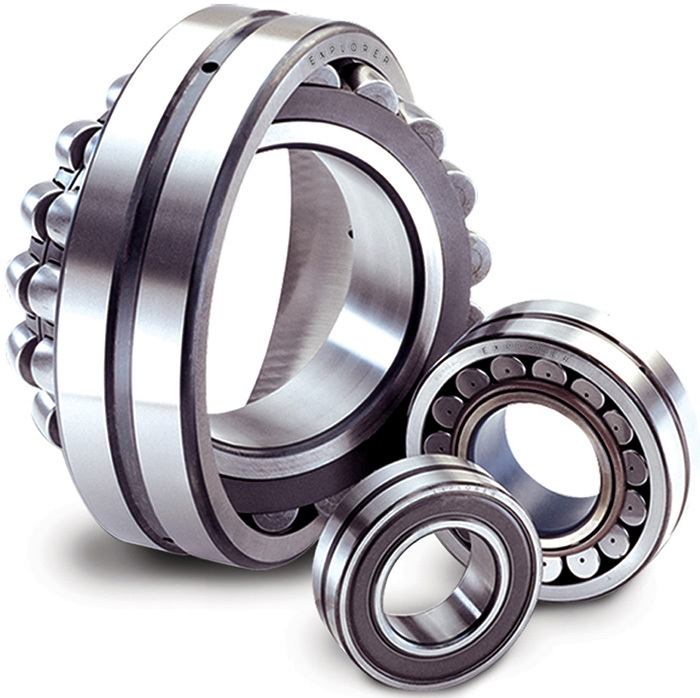 Most bearings are mounted with the mechanical, hot and hydraulic methods. Mechanical (or cold mounting) is most recommended for small to medium bearings with an outside diameter up to 4 inches. Hot and hydraulic mounting can be used for all, but are mainly for medium to large bearings. Mechanical mounting uses a mounting force sufficient to overcome the interference fit between the bearing and the shaft or housing components. The appropriate fitting tool should be positioned to apply the mounting force to the ring with the interference fit. The mounting force should never be directed through the rolling elements. Hot mounting involves heating prior to installation to a specific temperature (175 degrees Fahrenheit [F] to 250 F) so the bore expands radially. This temporary expansion allows easy installation. Once the bearing returns to room temperature, it returns to its original dimensions and tolerances. An induction heater with adjustable thermostats and demagnetization is the cleanest, most reliable technique to heat bearings. An open flame should never be used. For larger bearings or applications with precision requirements, hydraulic techniques, including hydraulic pumps, oil injectors and hydraulic nuts, deliver the goods. They help maintain accuracy, speed of installation and repeatability. They minimize damage, require less manual effort and promote safety. Lubricants serve to separate a bearing’s rolling and sliding contact surfaces, prevent wear and reduce friction and heat. The lubricant also protects against corrosion, carries away heat (oil) and helps keep out contaminants (grease). Grease is the preferred bearing lubricant because it is simple to apply, can be more easily retained within the housing and improves sealing. Greases consist of a mineral or synthetic base oil that is suspended in a thickener or soap. Additives may also be introduced to impart characteristics such as wear, corrosion and friction protection. By varying base oil viscosities, thickeners and additives, greases can be made with characteristics to satisfy particular applications and conditions. Oil is typically used when high speeds, temperatures or lubricant life preclude using grease. Advantages are easy filling/draining, increased speed capability, reduced heat and ability to filter. Mineral oils represent the most common oil lubricant for rolling bearings. When an electric motor, turbine or other driver is coupled to a pump, the coupling and the shafts of the two must be properly aligned. Parallel or angular misalignment will cause increased stress on the shafts, seals and rolling bearings, which will jeopardize the machinery. Bearing misalignment can be caused by shaft deflections (bending), tolerance errors and uneven support surfaces. Excessive misalignment results in higher internal loading, friction, heat, power consumption and shorter bearing life. Self-aligning type bearings have more generous limitations for misalignment. These have a raceway curvature, which self-adjusts to the misaligned conditions. Values for the permissible misalignment will be supplied by the manufacturer, which also can assist when the expected misalignment exceeds permissible limits. Bearings should be stored in a cool, clean, low-humidity environment at a steady temperature, free of dust, shocks and vibrations. They should lay flat in the original, unopened pack until just before mounting. Robert Kametz is a senior application engineer at SKF USA Inc. He may be reached at 267-436-6458 or robert.a.kametz@skf.com.